That's a renaissance-ish 3/4 harness. There were specific tournament battles fought "at the barrier", so they often didn't wear the lower 1/4 or lower 1/2 of armor, since blows were not to be struck below the barrier (fence). I don't know if it's the exact technical term for it, but I generally call that "cavalier armor"; 16th or 17th century, during the age of firearms. That was indeed a cool manuscript piece. Thank you. 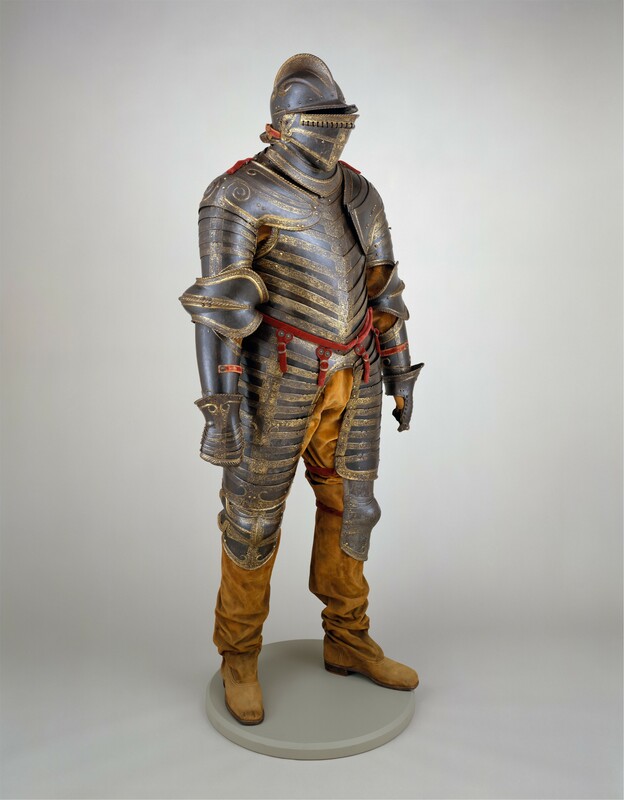 Sir James, would this Henry VIII armour be similar in style and/or use? I believe it *could* be used for similar, but I don't know enough to say that it would be. The overall coverage is similar, but that one has a very distinct style of breastplate (animus). If it belonged to Henry VIII, it puts it in a similar time period.